In 2017, 56% of U.S. workers received health insurance through an employer. For certain employers, providing health insurance is required by law under the Affordable Care Act (ACA). But beyond that, competitive benefits can be key to attracting workers. It’s not necessarily a fun topic to discuss; there always seems to be a story about staggering health care expenses. According to the Centers for Medicare and Medicaid Services, health care spending reached $3,500,000,000,000 in 2017. That’s 3.5 trillion — with a “T.” This equates to $10,739 per person. 1. Contribute generously to employees’ HSA, HRA or FSA accounts. In other words, make your employees’ out-of-pocket costs as low as possible. Yes, it’s the opposite of conventional wisdom, but hear me out. By effectively eliminating out-of-pocket costs, you remove friction for your young, “invincible” population. These folks balance out your risk pool. In my experience, it’s tough to attract them, and many choose to forgo coverage altogether because if they are under 27, they can stay on their parents’ plans. A popular strategy I’ve observed is fully funding health savings accounts (HSAs) or health reimbursement accounts (HRAs) to cover deductibles, prescriptions, copays, etc. If you don’t (or can’t) offer an HSA or HRA, you, as an employer, might also consider contributing to a flexible spending account (FSA). I’ve found that many employers offer an FSA, but participation remains relatively low. But I believe most (if not all) employees and their families will have out-of-pocket medical expenses. From my perspective, the potential tax savings for both employers and employees with FSAs is a no-brainer. One common misconception is employees forfeit unspent FSA balances at the end of the year (use it or lose it). The IRS eliminated this risk by permitting workers to carry over unused amounts of up to $500. I believe limiting out-of-pocket costs keeps all your employees healthy by preventing more expensive claims in the future. Between 30% and 50% of Americans don’t adhere to their long-term medications, and for many, high copays are a deterrent. But in my opinion, the ability to have a $5 prescription copay means people have less of a reason to skip maintenance meds. 2. Offer a direct primary care (DPC) benefit. Building a clinic is impractical for most, but I believe you can get a similar result by adding a direct primary care (DPC) benefit to your health plan. DPC allows the doctor to sidestep the traditional system by charging a monthly membership fee. Some will do house calls and provide concierge services. 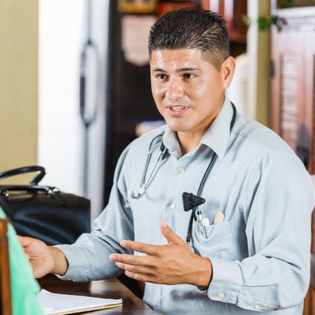 There is a growing movement of DPC doctors partnering with employers. It lets a PCP do their job and get to know you and coordinate health care strategically. 3. Obey the laws of mathematics. You are probably familiar with the “80/20 Rule,” also known as the Pareto Principle. Health care populations are natural systems. Research has found that roughly 80% of a health plan’s costs are caused by 20% of the membership. When designing your offering, consider making the annual maximum out-of-pocket responsibility as high as permitted by the ACA. Those who need expensive medical care will look at this number. I’ve found that if their spouse’s plan, or an individual policy through an exchange, is lower by comparison, they’ll likely choose it. 4. Let your employees pick their own plans. If you don’t want to deal with the hassle of a health plan at all, starting in 2020 (if the proposed regulation is approved), you’ll be able to reimburse your employees for certain individual medical premiums and out-of-pocket expenses. Some of you might be scratching your heads and asking, “Can’t I already do this?” Sort of. There’s a qualified small employer health reimbursement arrangement, which is complicated and restricted. This isn’t what I’m talking about. The Trump administration has proposed a new regulation for next year that would expand an employer’s ability to fund individual health insurance plans on a tax-advantaged basis. 5. Become your own health insurance carrier. Self-insuring (employer pays claims themselves) used to be something you didn’t do unless you had thousands of employees. The ACA changed that. I see companies with as few as 15 employees self-insuring now. Why? I’ve observed the ACA grants more flexibility for self-insured plans. On the other hand, if you buy a group health insurance policy “off the shelf,” you use whatever is offered and potentially pay for things your employees do not want. In my experience, you’re also often attached to a community risk pool, over which you have no control. When you hear stories about an employer with a 19% annual increase, I’ve found that it’s usually a fully insured plan. Self-insuring no longer needs to feel daunting. Reach out to a benefits consultant who specializes in taking fully insured companies self-funded. The consultant will look at several years of claims data, assess whether you are a good candidate and build a strategy with you. These programs can be turnkey, and you can still take advantage of the large provider networks available through major medical carriers. Can you offer amazing health care benefits while simultaneously controlling costs? The conventional wisdom says no, but I believe the answer is, unequivocally, yes.